“I am convinced that the Supreme Counsel and the Permanent World counsel, which only aim to take care of the universal prosperity, will achieve their sacred goal before the end of this 20th century!” – these were the prophetic words of the Bulgarian engineer Nicolas Dymcoff, which were said in the first days of September 1918 in the capital Tzarigrad of the Turkish Empire in front of the editor of newspaper “Pharos” that was published there. The reason for the meeting and their whole conversation was written down by engineer Nicolas Dymcoff at the end of 1916 and the beginning of 1917 in the book “Star of the Consent” (from French - "Etoile de la Conccorde"), which represents an original and grounded project for the creation of a world organization for peace and cooperation between all states, nations, and religions. Nicolas Dymcoff published his project in French, German, Turkish, and Greek, and through the foreign embassies in Tzarigrad, he sent it to many state and governmental representatives, including the president of the USA at that time – Thomas Woodrow Wilson. This happened at the time when USA still had not been involved in the First World War and the famous Wilson's Fourteen Points for the post-war settlement of the world and the creation of the United Nations had still not existed. And the biographer of Thomas Wilson (Mr. Beker) later gave evidences that this idea was not of the president, but it was loaned from others. 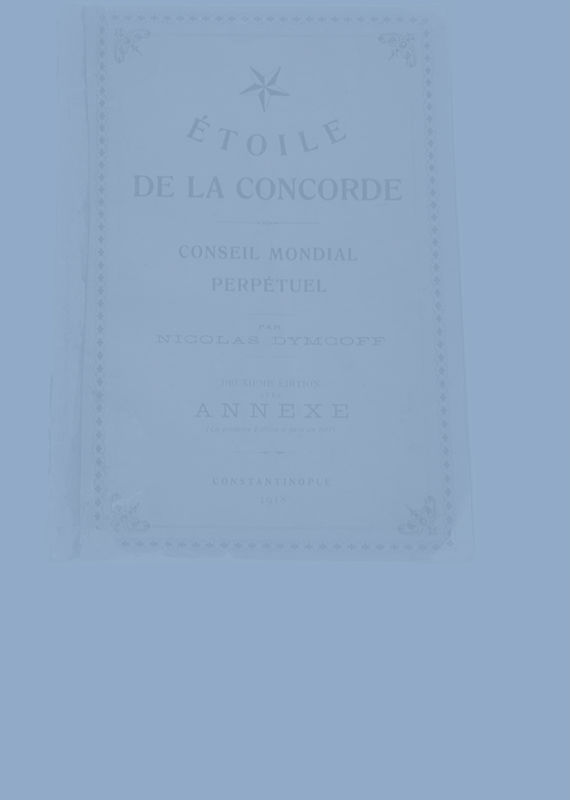 In his project Nicolas Dymcoff suggested the creation of a Permanent World Council that would examine “the means, needed for keeping peace and agreement between all nations in the world”. In an interview with the editor of the Greek newspaper “Pharos”, printed as a supplement to the Second edition of “The Star of Consent”, N. Dymcoff continued to develop his idea for the arrangement and the structure of the Permanent Council. Excluding the three main councils, the author suggested the council to be subdivided into around twenty supreme bureaus, which would deal with the internal structure of the council, the world security and demilitarization, the relations between religions, the issues of the nations’ minorities, the world jurisdiction, education and culture, health services, agriculture, industry, trade, labor, and others. 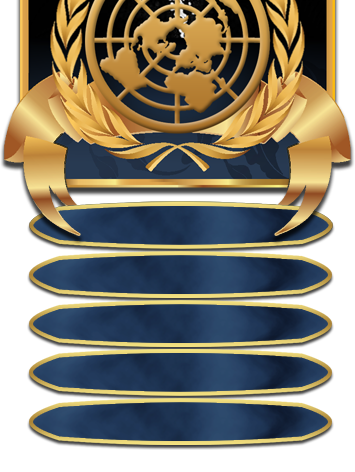 Even if these formulations are very cursorily compared to the statute of the today’s United Nations, we could easily notice some remarkable similarities not only in the general idea, but also in the concrete structure and function of the organization. The project of Nicolas Dymcoff is an impressive Bulgarian contribution to the creation and the work and activities of today’s world organization for peace and security. His ideas gained realization relatively recently when over Europe and the world has been established the sincere desire for unity regarding any universal values and virtues. The information that follows is about engineer Nicolas Dymcoff and for the purpose of this information bulletin, the information was collected from more than fifteen Bulgarian and foreign sources.